• Students may not carry or use medication on campus without written consent. A student who needs to take medication during school hours MUST have a statement to this effect on file at the school, signed by the prescribing physician and the parent/guardian. School health personnel do not prescribe or give advice regarding medication. • The immunization status of all students will be reviewed periodically. Those students who do not meet State guidelines must be excluded from school until their requirements are met. • Communicable disease inspections will be conducted periodically. A student suspected of having a communicable disease will be excluded from school until guidelines for readmission are met. • We make every effort to notify parent/guardians about school exposure to chickenpox. The parent/guardian of a student for whom chickenpox presents a particular risk should contact the school nurse to facilitate notification. Students at risk include those with conditions affecting the immune system and those receiving certain drugs for the treatment of leukemia or organ transplants. conjunctivitis (pink eye), must have a doctor’s note in order to return to class. • A student that is returning to school with sutures, casts, crutches, brace(s), or a wheelchair must have physician’s written permission to attend school and must comply with any safety procedures required by school administration and Health Services personnel. 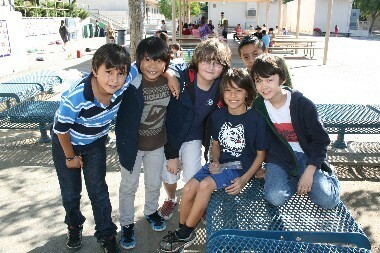 Students with sutures, casts, crutches, or braces are not permitted on the playground during recess or lunch playtimes. • A student returning to school following a serious or prolonged illness, injury, surgery, or other hospitalization must have written permission by the health care provider to attend school, including any recommendations regarding physical activity. • Parents of students who suffer from a medical condition that substantially limits their participation in school activities and require certain accommodations may contact the school office to discuss the development of a 504 plan. • It is critical that following an absence, every child returns to school with a note of explanation. Students are allowed to make up any work missed during an excused absence. • For any unexcused absences, it the teacher's decision to allow missed work to be completed and/or counted towards the student's grade. • Children absent for more than five days due to illness must go to the office before re-admittance and may be asked for a note from the doctor. • Any child tardy in excess of 30 minutes without a valid excuse, or more than three days in a school year without a valid excuse, is classified as truant. • If medical appointments must be made during the school day, please try to schedule them during non-instructional times such as recess and lunch. • Should you wish homework assignments for your child when he/she is ill, please make your request by calling the office early in the day (before noon). Requests made after the noon hour cannot usually be honored until the following day. Assignments will be available for pick-up in the office at the end of the school day. 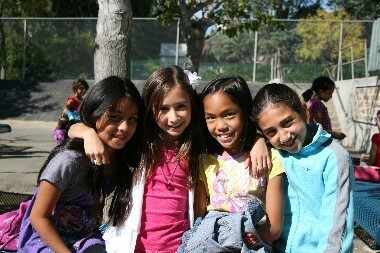 • Balboa Magnet has a clearly defined emergency plan in the event that there is an earthquake. • Each classroom has an emergency backpack, and we have a cargo container on the playground that has emergency supplies to supply students and staff for up to 72 hours. • In case of an earthquake, please report to the Reunion Gate, which is located on Paso Robles by the playground to pick up your child.